Reverse Mortgage is one such loan, wherein the borrower does not have to pay the EMIS but instead receives tax free income from the lender. Find out more about this financial product and how it works. Loans are typically products that would make you end up with a burden of EMIs for a long period of time. It looks like your life is being sucked out of you. However, there is a financial Product that does the opposite. You take the loan, but the bank pays you EMI. Yes, such a product does exist. It is called Reverse Mortgage and while it has been in existence overseas for quite some time, Reverse Mortgage in India was introduced only back in 2007 and but hasn’t been promoted that well by the lending institutions and hence it is not that well known. Also NOT everyone is eligible under a Reverse mortgage scheme in India. So let’s have a look at this unique product in detail. Reverse Mortgage works on the principal that you pledge your house with the lender – Bank or Non-Banking Financial Institution, and avail a loan. But, you do NOT pay any EMIs, and the lender would disburse the loan amount to you either in Lump Sum or in Equated Payouts – Monthly, Quarterly, Half-Yearly, or Annually, as you want. Thus this creates a regular income for you. You continue to live in the house till you are alive or till the time you sell it out. After you are gone, the bank would sell out the house and the proceeds will go towards settling the Loan Amount with interest. So in simple words, you take a loan against your home, the bank evaluates its market value and arrives at the loan amount. This amount is given to you either in one go, or in regular payouts as per your agreement, thus it becomes your regular income. You are not paying anything – EMIs or Interest to the bank throughout the tenure of the loan. The loan is only settled once you are no more or you plan to exit the house by selling it off. The interesting part is the Taxation on the Reverse Mortgage scheme in India. Since Reverse Mortgage is a kind of Loan; the income or the payouts you receive from the lender is not an Income per se and hence, it is not taxed under Income Tax. The income from reverse mortgage in India is tax free. However, you are eligible for tax assessment for Capital Gains Tax if there is a gain for the borrower by foreclosing the loan before its tenure. 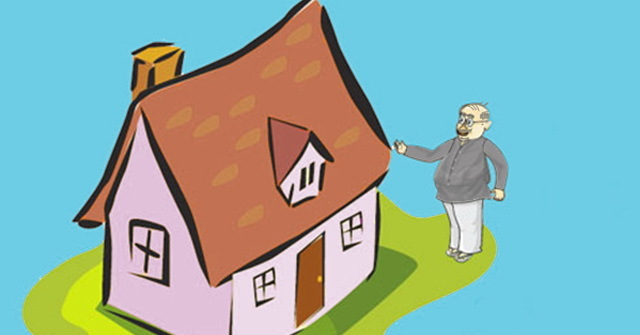 Who is eligible for Reverse Mortgage in India? Well, this unique product is not for all. You need to be a senior citizen, of the age of 60 years or above to be eligible for Reverse Mortgage scheme in India. In case of a joint loan under the Reverse Mortgage scheme, the co-applicant spouse needs to be minimum 58 years. Reverse Mortgage is mainly a scheme for Senior Citizens to be able to generate income out of their House and have a regular flow of tax-free income for the rest of their lives or the tenure of the loan whichever is lower. The applicant(s) need to have an ownership residential property in India, which is a permanent residence of the applicant(s). The applicant(s) should have all the title documents of the property that they wish to pledge for loan under reverse mortgage scheme. The property should be free title and not under any previous mortgage or loan. The potential life of the property should be at least another 20 years. This is usually evaluated by the lender’s technical team. For whom is a Reverse Mortgage Suitable? For senior citizens living independently, without any dependents or in case the dependent are not affected by the property being taken over by the bank once the borrower(s) have passed away can opt for a reverse mortgage. For instance, if there is a senior couple who have kids settled abroad or elsewhere and are never going to settle back in the country, then it is great option for such senior citizens to mortgage their properties and avail income for the remaining years. The maximum tenure of a loan under Reverse Mortgage is 20 years, (however there are talks of it being increased for lifetime of the borrower) after which the lender will not payout any further. The entire loan amount borrowed, is paid to the borrower by the lender within this span of time. 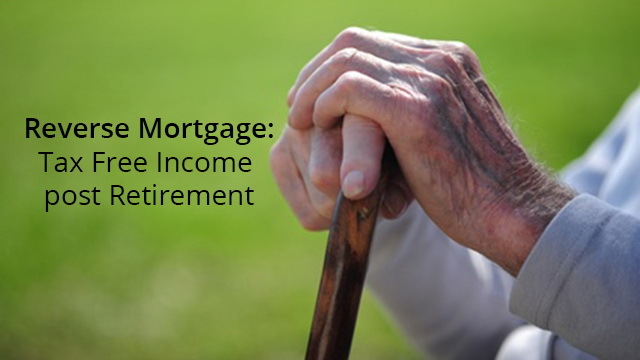 The maximum amount that a Reverse Mortgage can be availed for is Rs. 1 Crore. The amount obviously varies depending on the market value, appreciation potential and other such factors as evaluated by the lender. In case the property is of a higher value than the 1 crore limit, then during settlement the excess amount after interest adjustments, will be handed over to the legal heirs or the borrower(s) if they are surviving. As mentioned before, the closure of the Reverse Mortgage only occurs when either the borrower(s) are no more or they willing move out, putting the property up for sale. In case the borrowers outlive the 20 year tenure, they can still continue living in the house for their remaining lifetime. The payouts will stop, but the loan is only settled once they are gone. In case the primary applicant dies, the co-applicant can still continue to live in the mortgaged house. Once the borrower(s) have deceased, the bank would still give an option to their kin to settle the loan amount if they wish so. If they do not wish to, or cannot arrange for the settlement amount, the house is sold by the bank. Excess amount is handed back to the surviving borrower or their legal heirs. Any shortfall in the amount that may take place, then this loss is borne only by the banks. Sentiment. At times the borrowers or their children are against the idea, since a house represents memory and emotional attachments. Paperwork for the senior citizens could be tedious. Reverse Mortgage is a great tool for senior citizens to get an income for life and have financial stability in their golden years, without having to worry about Interests and EMIs and all. It is still a relatively newer concept and not many are aware of it either. But with the rise in smaller families and kids moving out or settling abroad, it is slowly catching up.